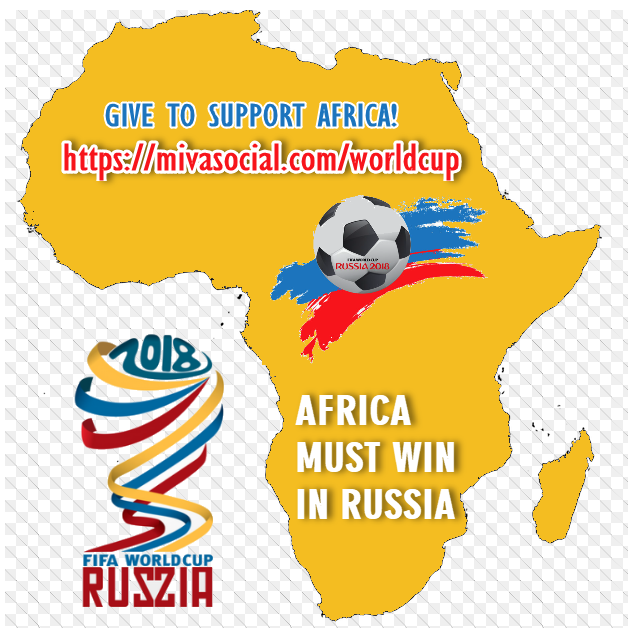 La pLateforme de Financement Participatif africain - Meilleur site de financement participatif en Afrique - Crowfunding en Afrique - Meilleur site de Crowdfunding en Afrique - Le site #1 de crowdfunding pour les africains Why hasn’t a team from Africa won the FIFA World Cup? Why hasn’t a team from Africa won the FIFA World Cup? Does the future foretell an African FIFA World Cup Winner? “Them can’t play,” said England coach Bobby Robson about his opponents in the tunnel before his side’s game against Cameroon in the quarter-finals of the 1990 FIFA World Cup in Italy. The Cameroonians had surely overheard him, what with them lining up next to the English and all. Whether they had used that slur to show the English that they could very well play, they came out of the tunnel all guns blazing. The Indomitable Lions weren’t expected to put up a fight and the English automatically assumed the African nation would be at the receiving end of a damn good thrashing. Despite David Platt giving the English a lead, Cameroon went 2-1 up shortly after the hour mark and it was only Gary Lineker’s late penalty that took the game to extra time. Lineker won yet another penalty – one that draws debate even today – to give England a 3-2 win. Although Cameroon lost that game, they had made the world sit up and take notice of them. Finishing on top of a group which contained international heavyweights Argentina and the Soviet Union, the world was introduced to the goalscoring feats of 38-year-old Roger Milla, who put two past Colombia in the Round of 16 as his side made history. Cameroon became the first African nation to go to the quarter-finals of a World Cup. And on that day, the world began to take notice of the Dark Continent. Since then, African football has come forward leaps and bounds. Everybody remembers the likes of Abedi Pele, George Weah, Tony Yeboah, Quinton Fortune and Lucas Radebe. They were great individuals who came from nothing to crafting a name for themselves in the world of football. But while Africa had always produced talented players, they had not begun to produce talented teams until very recently. Talent that was present when Nigeria made it out of a group containing Bulgaria and Argentina in 1990 and Spain and Paraguay in 1998. Talent that saw Senegal begin the 2002 World Cup in Korea-Japan with the ‘bang of an African drum’ according to Mr. Clive Tyldesley when they shocked the world over by beating France in their opening game, and re-write history by becoming the first African nation to enter the last eight of the tournament since it expanded to 32 teams. And then we saw the rise of Ghana. In a group that included Italy, the Czech Republic and the United States, Ghana beat the Czechs 2-0 and the USA 2-1 to finish second in their group and earn themselves a place in the Round of 16 in Germany in 2006. Of course, they were no match for a Brazil side that dismantled them 3-0. But the world was gaining interest in African players. It also helped that increasing numbers of African players were now representing some of Europe’s top clubs. Didier Drogba and Samuel Eto’o had already followed in the footsteps of Nwankwo Kanu in gaining worldwide popularity, but African players were now becoming mainstays at the clubs they played for. Whether it was Kolo Toure at Arsenal, Seydou Keita at Barcelona, Mohamed Sissoko at Liverpool or Frederic Kanoute at Sevilla, the talent these players brought was them was immense. And thanks to FIFA, other footballers with the same talent – but not nearly the same number of opportunities – can showcase their talents on the world’s bigger stages. In 2010, in the run-up to the World Cup, FIFA spent $794 million on football development in the world. A large part of that was allocated towards its ‘Win in Africa with Africa’ project, which oversees the development of proper facilities in areas which sorely lack them. It’s ‘Goal!’ project appropriates funds towards member nations to develop football to suit the needs of that particular nation. Around $138 million was given to nations in 2011 under that project. All this means that grass roots football in Africa will be given the attention it has been craving for a long, long time. Yaya Toure is the lynchpin of the Manchester City midfield, Kwadwo Asamoah is a firm fixture on the Juventus team sheet and Sofiane Feghouli is a mainstay at Valencia. Of course, not every aspiring footballer can become the next Michael Essien or Steven Pienaar but the quality they possess can now be nurtured. And there is quality enough: Nigeria’s U-17 teams have won two FIFA U-17 World Cups and Ghana have won one. In addition, the Nigerian U-20 teams came second on two different occasions in the U-20 World Cups, while the Ghanaians won the 2009 edition in Egypt. Ghana’s quarter-final finish in South Africa – where they were denied a place in the semis on penalties by Uruguay – is a testament to how much African football has grown over the last fifteen years. The quality they possess is unquestionable. It’s the team spirit they lack. Cote D’Ivoire are the perfect example to underline that. For all we know, had they clicked in 2010, it could’ve been them taking the place of either Brazil or Portugal in the knockout stages in South Africa. Sami Khedira is from Tunisia but plays for Germany, Wilfried Zaha is being tempted to choose England over the Ivory Coast and Mario Balotelli chose Italy over his native Ghana. So many of France’s World Cup winning side, including Patrick Vieira and Zinedine Zidane came from Africa. Even now, Karim Benzema, Yann M’Vila, Hatem ben Arfa, Abou Diaby and several others choose to don French colours over those of their homeland. But the next generation of footballers, including the Arsenal duo of Emmanuel Frimpong (Ghana) and Chuks Aneke (Nigeria) have chosen to represent the countries their forebears belonged to. Armand Traore, Marouane Chamakh and Adel Taarabt all heeded the call of their homeland, despite being born in Europe. And that goes to show just how much they believe in their nations. 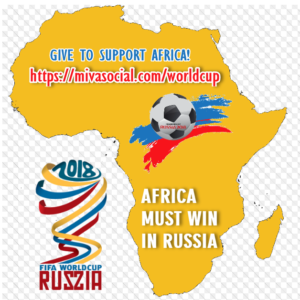 Given the way African football has been progressing, don’t be surprised to see them in the final of a World Cup in the future. And do remember to pick your jaw up from the floor when they’re on the podium lifting it.